What could be more important for the bride than the choice of wedding dress? Only the choice of wedding hairstyles. If you have a short haircut, you are sure to find a suitable wedding image in our selection of the best fashionable wedding hairstyles for short hair. The fact that you have decided to tie the knot does not mean that you need to grow your hair to make a wedding hairstyle. Wedding fashion trends change every year, and cumbersome complex hairstyles, filled with lacquer with sequins, have long gone out of fashion. The more natural looks hairstyle, the less styling tools used on it, the more relevant and fashionable you will look in the coming season. If you have a classic Bob or a stylish pixie haircut, this does not mean that you can not fit into the classic image of the bride. 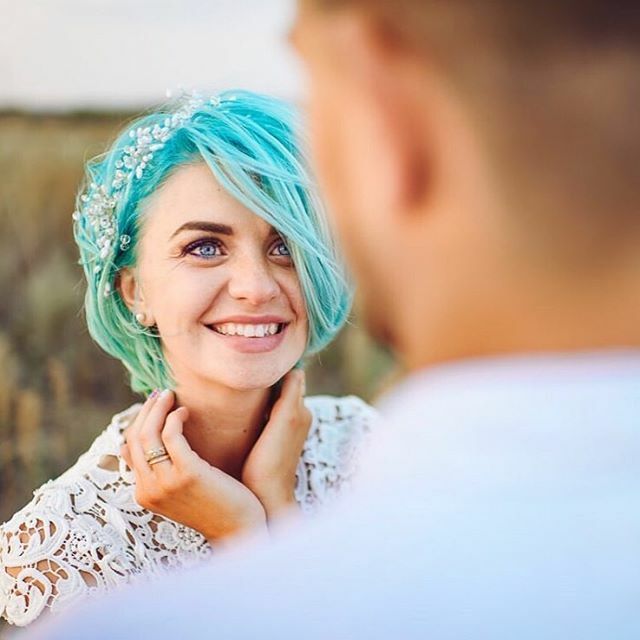 And if you are now in search of your wedding image, you will certainly come in handy our selection of the most interesting ideas for wedding hairstyles for short hair. 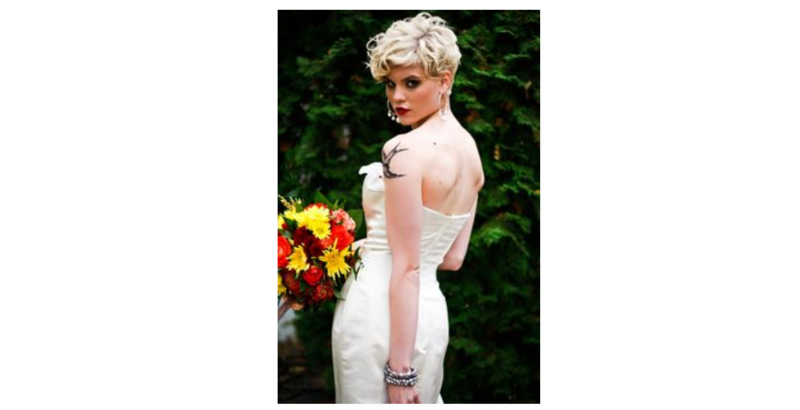 Gently curled short curls gently frame the face and give even the most ordinary short haircut a romantic touch. Wrap the strands on the Curling iron and spread your fingers. In the crown of white roses you will feel like a real Princess. 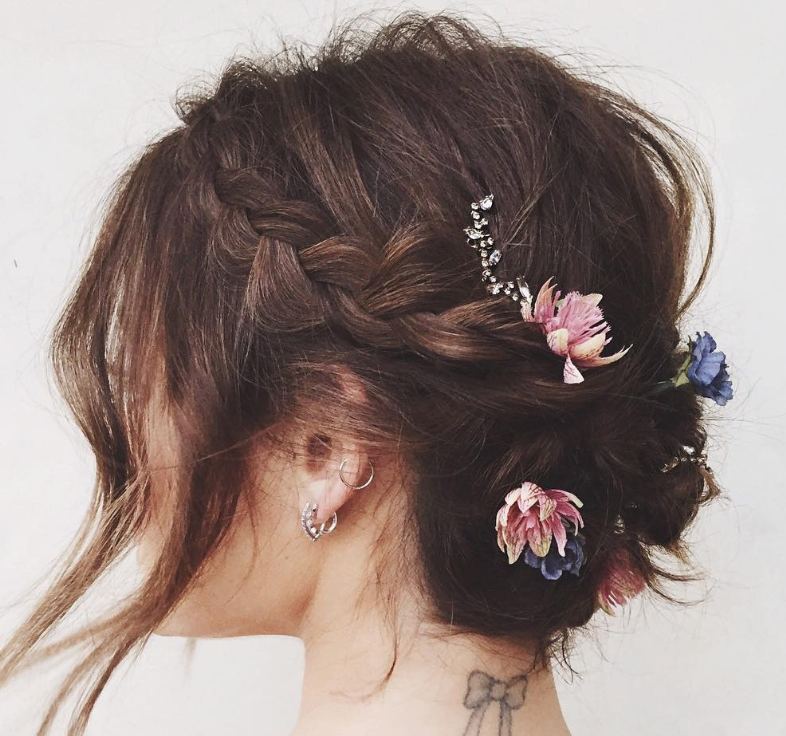 Braid a side braid of long bangs, form careless curls, decorate your hair with fresh flowers-and a stylish hairstyle in the style of “Boho” is ready. 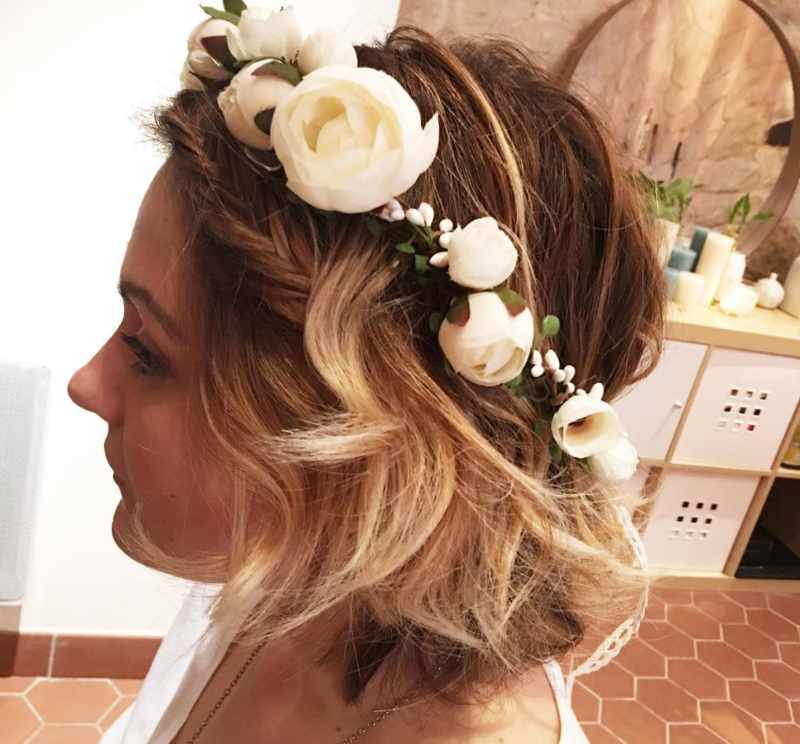 If you have a very short haircut “pixie”, the best solution is simply to decorate it with a fashionable wedding accessory: hair clip, exquisite comb, bandage or Hoop with flowers. Slicked back hair opens the face and highlights the eyes. A spectacular accessory that imitates the texture of your hair will not only be an original decoration, but also give a playful mood to your image. The basis hairstyles – Bob length to the chin with graduated ends and a long braid bangs. 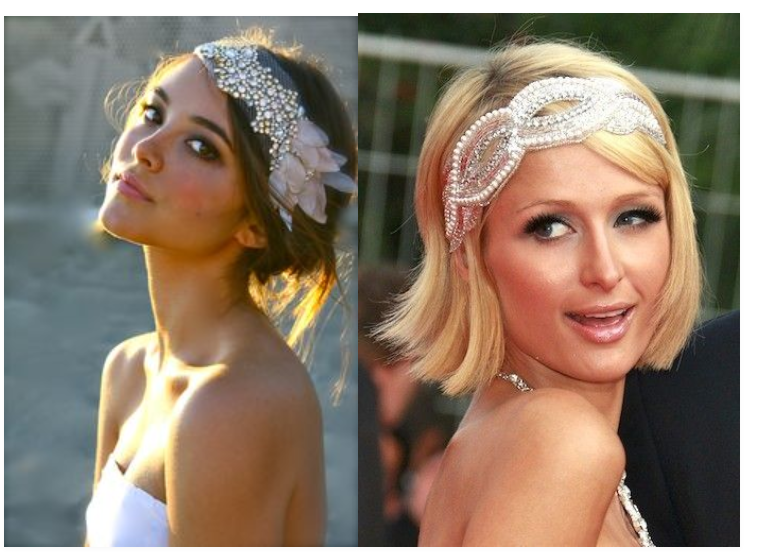 A wide lace ribbon, partially covering the forehead, brings a vintage touch to your image. Great idea for a retro wedding. Experienced hairdressers can make a voluminous hairstyle, even if you have short hair. Soft voluminous curls, raised at the roots, create a crown effect on the head and look Royal. Comb the hair at the roots and fix with a nail Polish of easy fixation. 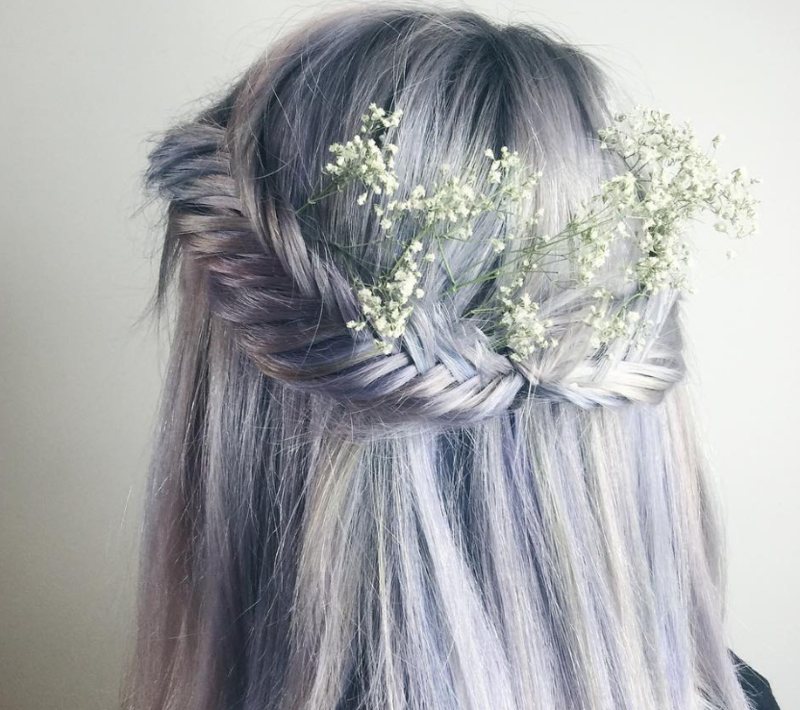 Soft lavender hair color with silver highlights on the bride will look charismatic and very modern. Plait the pigtail “fish tail” on both sides of the head, decorate with fresh flowers. Perfect to dress in the style of “boho”. 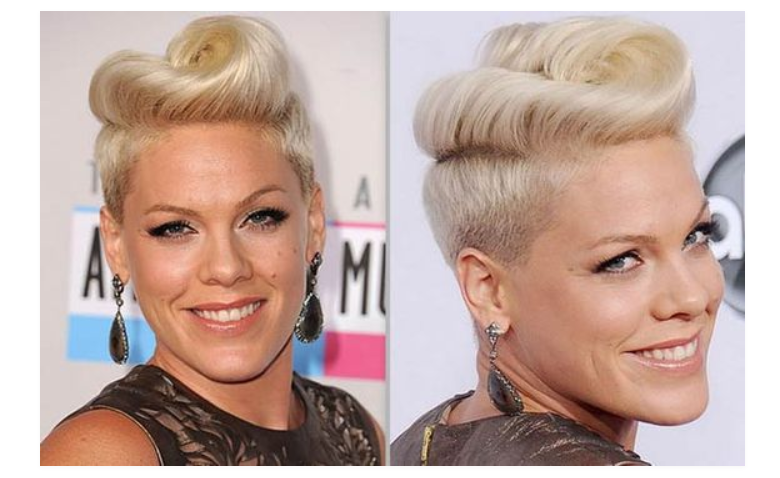 Pink demonstrates a great idea with bangs, inspired by the image of the Marquise de Pompadour or Elvis Prestley. This hairstyle is suitable for extraordinary and self-confident girl. Screw a Curling iron with a large diameter of forceps bangs, form a wave and fix the varnish. Hairstyles, in which there is a slight confusion and disorder, are among the most fashionable and relevant. Braid the hair on the sides in pigtails, collect in a bunch, leaving as it fell out of the hair strands. Fresh flowers gives the finished look of solemnity. It is not necessary to have long hair to make a classic bun. If you have Bob haircut or Bob long chin, you can collect the hair back in a small bundle and pin strands of studs and invisible. Lift the front of the hair with a fleece. Beautiful hair bow with pearls to complete the look. This hairstyle was a favorite of the Greek goddesses, so don’t you want to repeat it? Collect the hair in a low bun, creating the effect of hair volume. 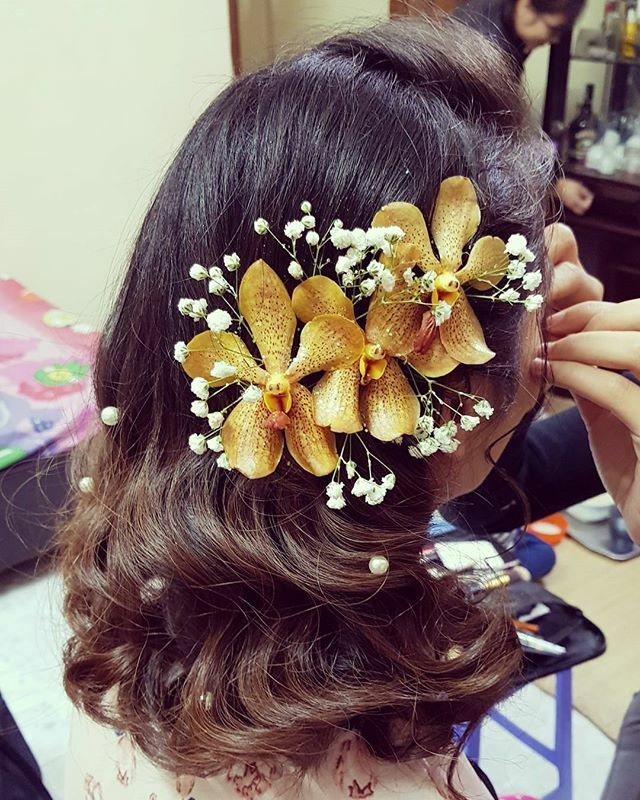 Such a wedding decoration as a tiara, especially advantageous to look at the hair saturated colors, such as mahogany, or Bordeaux. 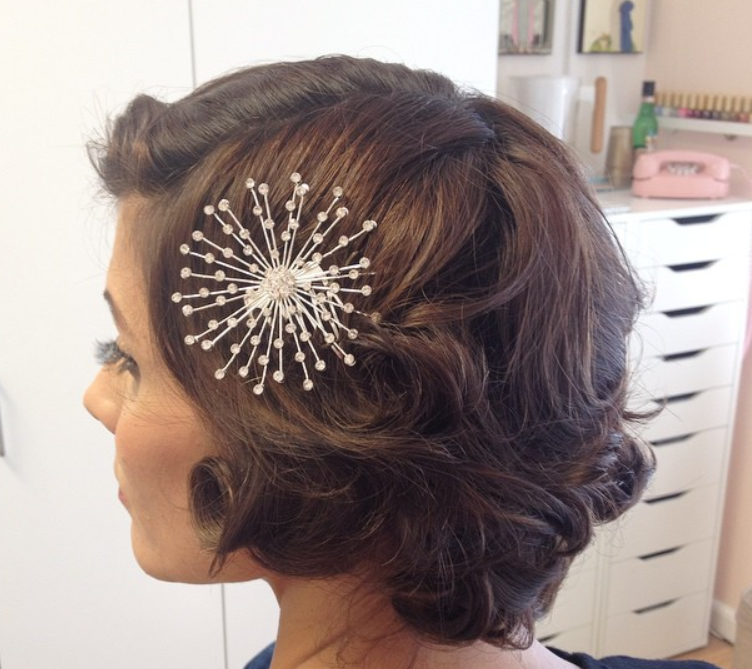 If you choose a retro wedding hairstyle, you will increase your femininity at least twice. The image is inspired by the fashion of the 20s. 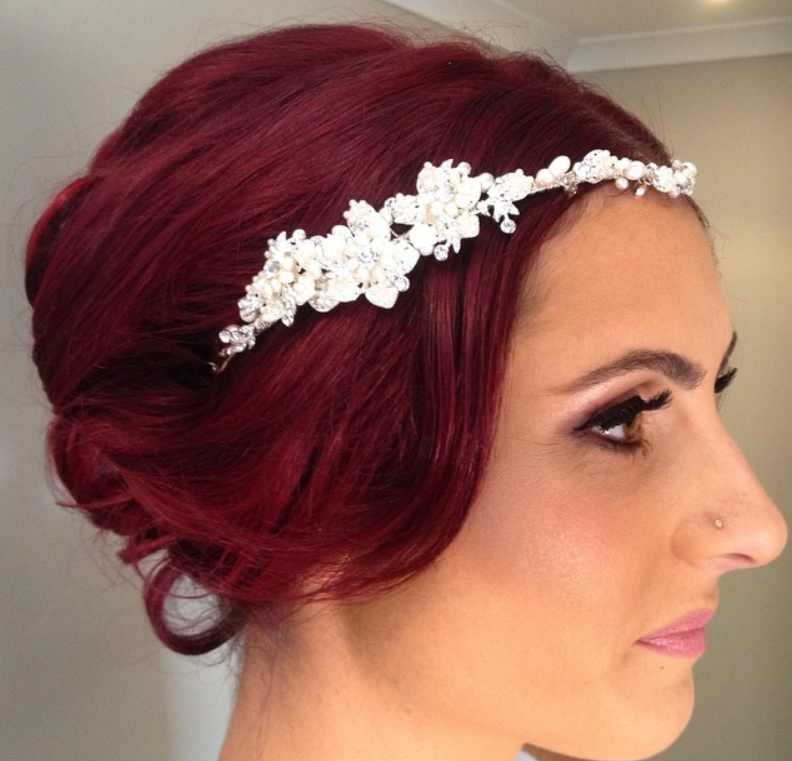 Soft vintage wave, decorated with vintage accessory, looks especially great on the elongated bean. 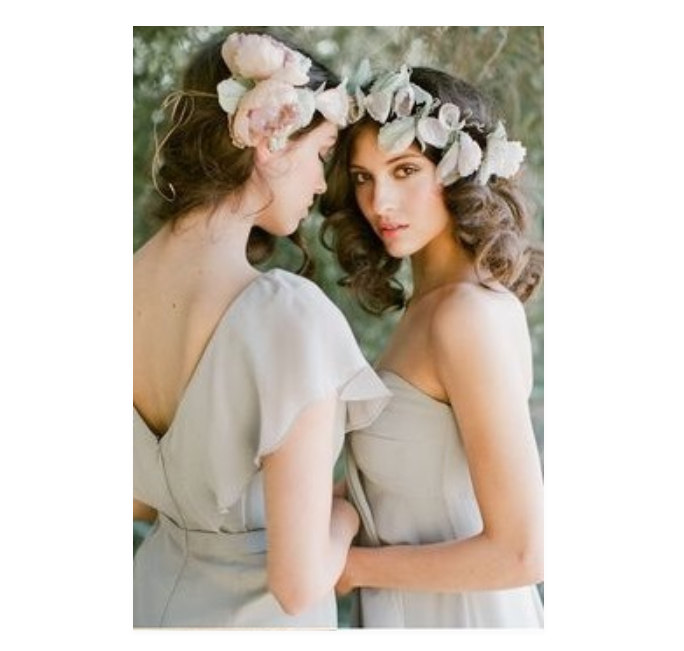 A wreath of huge fresh roses of pastel shades is the best romantic solution for hair of any length. Looks especially good on an autumn wedding in a rustic or folk style. 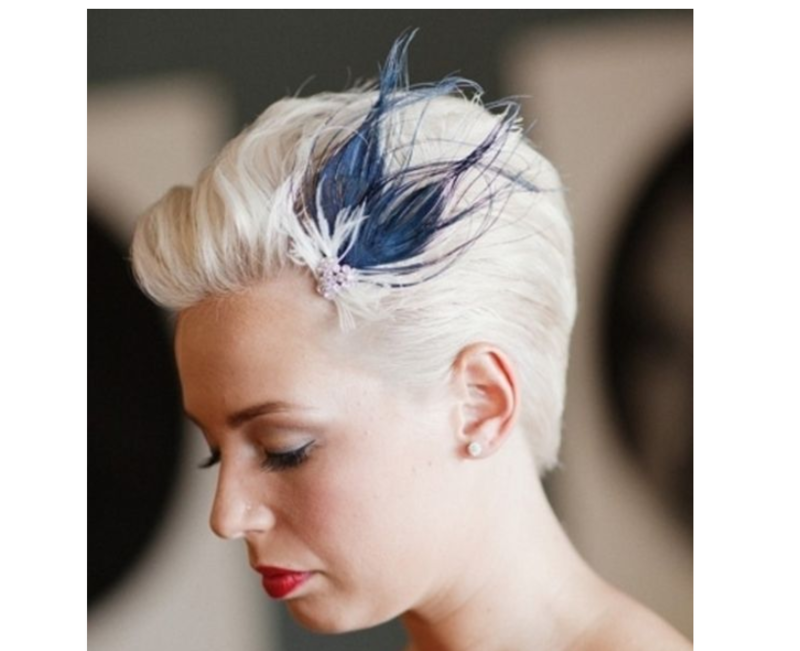 As you can see, there are so many ways to make a stunning wedding hairstyle of short hair. Let your wedding be fun, bright photos, and joint years of married life happy and long.